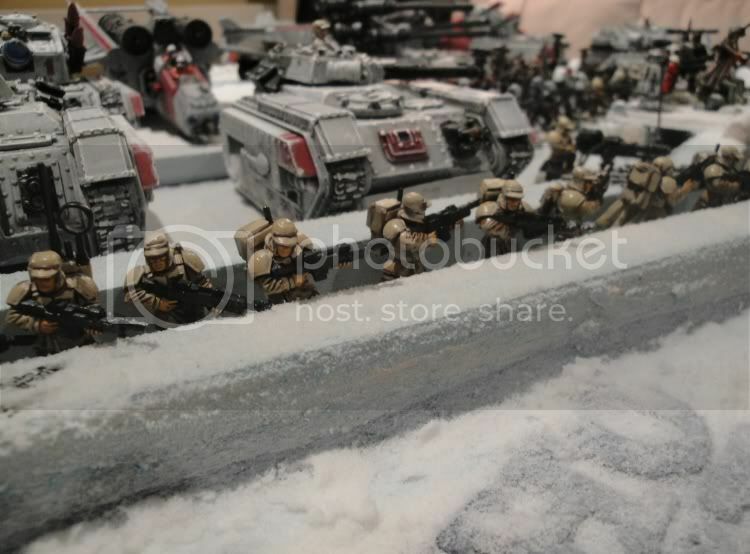 The armies of the Imperial Guard have been so profoundly affected by the transition to 6th Edition rules that it is still taking time for all the changes to sink in. I made an initial list of changes that affect the way Imperial Guard armies play and quickly got to 60 rules, of which about 40 are positive and 20 negative, but in the grim darkness of the far future nothing is quite that simple and as you’ll see many of these are rules that cut both ways. I am splitting this into a series. This article is going to be an overview, I’ll go into the rules in a future article, and then a review of the units in the codex as they appear at the very start of this edition of the rules. Then if there is interest, I can start adding some new army builds I’ll be trying out in the run up to the State Masters and Australian Masters, which I have pre-qualified for by coming first in both using my beloved Guard last year, (assuming the interest isn’t exclusively from my potential opponents lol). With low statlines, poor armour and bad combat ability on the infantry, the vehicle changes affect Imperial Guard more than virtually any army in the game. Losing hull points on a rhino and having a MEQ squad tumble out is an inconvenience, but Guardsmen losing their chimera can be a tragedy. I believe the Hull Points rules are an excellent addition to the game, but combined with the new increased vulnerability to assault you need to be aware that the survivability of most vehicles has taken a severe knock. Do not expect your chimeras and other AV12 tanks to last nearly as long as they used to, particularly when going forward towards objectives. Not being able to claim objectives while inside a transport is a problem for Guard, but perhaps not as big a disadvantage as it sounds once you realise the transports are likely to be dead by then anyway! There is a definite up-side to the new damage table though, and it is most obvious when running the classic Imperial Guard gun-tanks: Glancing hits no longer cause your tanks to stop firing. They also don’t stop them moving or cause them to be immobilised, but that’s actually less of an issue how many times would you have preferred your opponent rolled higher and immobilised your Leman Russ in 5th edition rather than taking its weapon off or stunning it? Gun-tanks that generally keep firing until they die are an improvement, and no one benefits more than Guard. As for their attrition from Hull Points, they way I look at it is since vehicles can’t contest objectives, a gun-tank that dies on turn 5 of a 6 turn game has been at least as useful as one that lives to the end but was stunned and couldn’t shoot in turn 2. If the tank in question is a Manticore with limited ammunition, then please dear opponent, spend some time glancing its armour off. Vehicles remain extremely important under the new rules, and many Imperial Guard vehicles are better than ever. The new survivability issues just mean that we have to change which we use and how we use them. This is a huge topic on its own I will explore the Armoured Vehicle rules in more detail in an article soon. In the meantime you may wish to see my article Back to Basics: How Rhinos, Razorbacks and Chimeras work in 6th. What the new rules do really well is widen the gap between better and worse quality armour. The gap in survivability between a Marine and a Guardsman has widened significantly due to the drop in average cover saves, and the good old days of Guard reliably going to ground and being able to pretend they were also wearing nice fashionable power armour are over. As a Guard player I don’t necessarily have to like this, but it is definitely better game design. 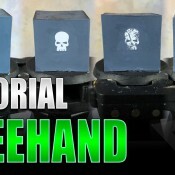 The same applies to vehicles, as the Hull Points rules and changes to the damage table mean there is a much more significant gap in survivability between different armoured vehicles than before, even before you add the impact that an almost inevitable drop in the volume of meltaguns is going to have. The AV10 vehicles are significantly easier to kill than AV11 even before you add the fact that many have 2 hull points rather than 3, since small arms now are a real threat to them. Our own common AV12 vehicles are a more significant step up from AV11 for a similar reason (although not to the same degree since both ignore most small arms), and for armies like Space Marines there is a huge difference between the Razorbacks we saw flourish in 5th Edition and the Predators that are likely to have a renaissance in 6th. 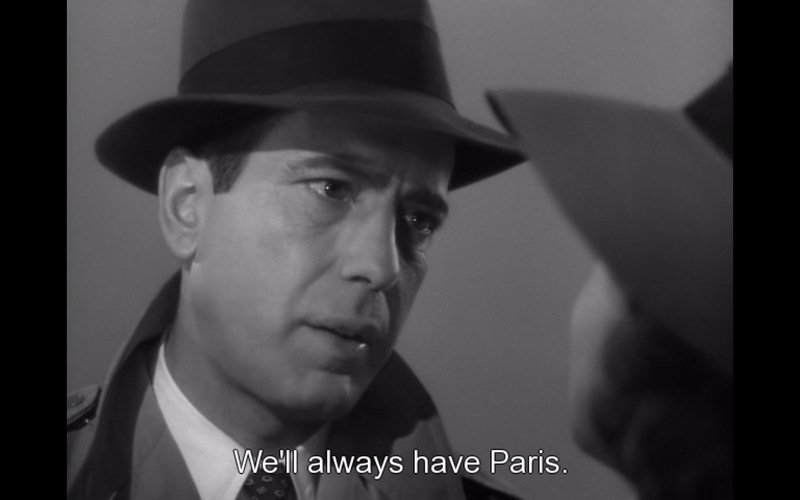 And then you get to the good stuff. Leman Russes, especially the Demolisher, are back in an undisputed role as Main Battle Tanks. AV14 is un-stunnable by anything below a lascannon, and as long as you’re smart enough to stay out of assault ranges those guns will just keep on firing until the tank dies or the game ends. The key thing is that in 6th Edition the gap between good and poor quality armour has widened, whether it is on infantry or a vehicle, and Guard players will do well to keep that in mind in their army design process. This is just a speculation, but I think the armour gap is likely to have a secondary effect on the player gap with Imperial Guard at tournaments. It is probably too early to say whether IG have been weakened or strengthened in relation to the other armies in the new rule book, but in my opinion Imperial Guard have become more complicated to use and harder to play well. Look at 5th Edition tournaments and you will frequently see a few IG players at the top of the table, but a larger amount propping up the bottom of the results. Ignoring the legends of the ‘unbeatable’ Leaf Blower (a glass hammer army that became a synonym for overpowered after it was allowed to go first against players who didn't use reserves ten times in a row), an codex that either did very well or was destroyed has just got even more reliant on player skill in 6th edition. The fate of the Imperial Guard will now often come down to how well the player can manage to take distant objectives without showing the opponent’s guns the 75% of each of their common vehicles that is AV10 rather than AV12, and manage to keep infantry alive in a ruleset that has lower cover saves and the ability of opponents to focus fire on any squad members that won’t get cover at all. 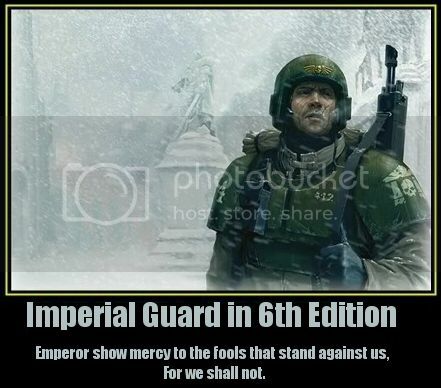 I believe Imperial Guard will be powerful in 6th, but it is no longer an army that I’d recommend to new players. The rewards for skilled play are great, but the penalties for mistakes have never been harsher. Just being honest about it, new players are better off with the more forgiving Marine armour and statlines and vehicles that don’t have AV10 sides. But if you can get the hang of playing Guard in the new rules, you’ve a great future in 6th edition. Is the Imperial Guard still the strongest army in the game? No. It’s far too early in the new edition to really judge how the rules will interact with all the codexes and we will need results from a wide range of tournaments… oh forget it, it’s probably Necrons lol. Get over it though, in my opinion Imperial Guard had a brief moment in the sunshine as the best army in 40K before Space Wolves moved into at least equal first position, and then had a relative decline as other powerful codexes were released in 5th Edition, a series of FAQs bit, the effect of one of the best psychic powers in the game (Weaken Resolve) was reduced by runic armour and reinforced aegis etc, and a genuine decline in options as DH/SOB allies were removed. If it is any consolation, some opponents will still believe IG are ‘Totaly Over powerd11! !’ after playing the 'Purge the Alien' plus 'Hammer and Anvil' combination mission, just as some did in the last edition after playing the ‘Spear Head: Annihilation’ that played into IG’s strengths and avoided its weaknesses. In five out of six missions your opponent has no reason to think IG are overpowered. But you’ll always have Purge Hammer. Is the Imperial Guard still the best army in the game? Yes! We are the Imperial Guard. Hate to break both of their two hearts, but 8 foot tall SpessMarinz will never have the same underdog appeal as the desperately out-matched normal humans of the far distant future that Gamesworkshop had the audacity to design as a shooting army and arm with lasguns. Whatever else happens in this edition of the rules, the ally options will keep your Guard army viable. A quick glance at the illegible jenga game that is the allies chart shows nobody has as many friends as IG; it’s quicker to list all the armies we cannot ally with, the Tyrannids and… that’s all. Necrons would be desperate allies, but every other army in the game is at least an ally of convenience. I’ve seen a lot of die-hard IG players mention Allies as if it is a bad word, but they are now a part of the game and shouldn’t be written-off as WAAC out of hand. I think the 40K universe is rich and varied enough and the players are creative enough to supply a justifiable background story and ‘fluffy’ reason for most alliances, and this could have a very interesting impact on the game.